Admittedly, I am in a funk. I sometimes get this way after hearing a great speaker, reading a great book or having a conversation with someone in ministry. I have decided though that it is not jealousy, envy or discouragement that runs my heart. At one point maybe this was the case – I wanted my name in lights with all the notoriety that comes along with it, but not now. Now, it is passion that runs my heart. When I hear, see, or speak with someone doing wonderful and miraculous things, my passion switch flips into overdrive and my soul-winning meter becomes even more sensitive. I have an honest desire to save souls. I have felt darkness and seen it with my own eyes. Whatever struggles we go through in this life or needs we may have are nothing compared to what awaits us for eternity. For many, this is a concept that is so far “out there” that they cannot even grasp it. They are living in the moment and for the moment without a thought to the future. For others, they are so bogged down with their life that they can’t think past tomorrow because they need to survive today. These are people who are the least of these and the most of these. There is no differentiation between a rich soul and a poor soul that doesn’t know Jesus as their Savior….a lost soul is a lost soul. Over the past couple of weeks, I have been spending time reading about some wonderful heroines of the Christian faith. Some of these are women during biblical times, while others are more contemporary women. 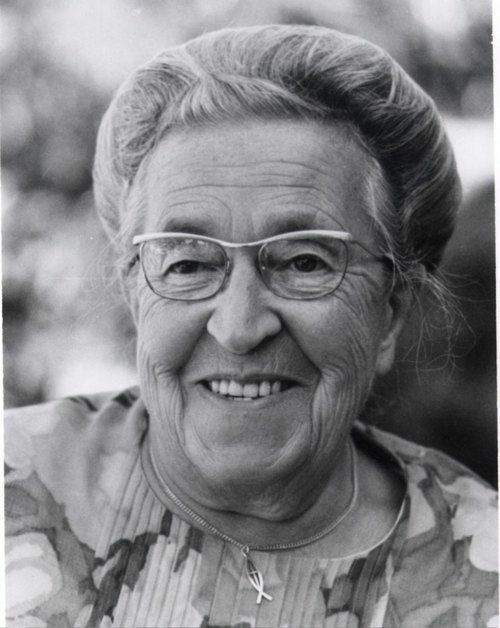 One of these great women was Corrie ten Boom. Corrie was a Dutch woman living in a concentration camp during WWII. Her family was arrested for harboring Jews. Miraculously, Corrie survived the concentration camp and God called her to do amazing things with her life. She traveled around the world sharing her story of salvation, both in terms of being saved physically from the concentration camp and spiritually by her Lord and Savior. She lived completely by faith and for Jesus. This week I also had the gift of reading Chasing the Dragon by Jackie Pullinger. A dear friend gave me this book over the weekend and as soon as I read the description, I knew my life would never be the same once I had finished reading it. Jackie, an English woman, lived in Hong Kong as an unassigned missionary and worked with the worst of the worst kind of people. She lived among heroin and opium junkies, thieves, prostitutes, and rapists in the Walled City in Hong Kong. She loved them when no one else did. She shared Jesus with them. She took them into her home and many subsequent homes that were started up around Hong Kong to house recovering drug addicts. She changed hundreds, if not thousands of lives during this time, as well as future generations. Her ministry assisted in bringing down the walls in the Walled City because the gang members, prostitutes and drug addicts became Christians. She walked humbly and lovingly among these people. They loved her, they protected her and they wanted her God, who eventually, became their God. I also dove into Scripture and read up on the story of Judge Deborah (Judges 4-5). What an amazing woman! Often times, we see a lot of the heroes and heroines of the faith as being single persons. They have the ability to move about more freely because they do not have husbands or families to take care. Not Deborah. We know for sure that she was married and perhaps, she may have even been a mother. God used Deborah to counsel, prophecy and eventually lead the army to beat the Canaanites. Not only was she given authority to instruct Barack to get the soldiers ready, Barack pleaded with her to actually accompany him into battle. Nowhere in Scripture do we see Deborah’s husband balking at the idea that his wife was going into battle and leaving him home alone. The conquest was successful, but it wasn’t Barack or Deborah that received the honors. No, it was another woman who God used to carry out His plan. Jael won the honors for killing Sisera, the commander of King Jabin’s army. Deborah, in her humility, never complained about not being the one to carry out this great feat. She was all business and she knew who her Commander was. And then there was Queen Esther, a Jewish woman who was an orphan lovingly adopted by her cousin. Esther’s path ultimately led her to being chosen by King Xerxes to replace Queen Vashti as his queen. She had earned the favor of the king with her humility, grace and beauty and she used her trump card when it was “such a time as this.” (Esther 4:14) She used her influence over the king to reverse a wicked order sent out by Haman, one of the most powerful officials in the empire. Haman hated Mordecai, Esther’s cousin, because he would not bow down to him. As a result, Haman ordered that all of the Jews in the region be killed. King Xerxes wasn’t the sharpest tool in the shed and wanted to please his associates so he said yes. Mordecai, a fervent prayer, pleaded with Esther to set a plan into motion to get the king to overturn his decree. Esther agreed and risked her life by going before the king without being specifically requested by him. A little trickery later and in the end, Haman was hung on the gallows he had actually built for Mordecai and the decree was reversed. Esther had risked her own life to save her people from death. Like Deborah, Esther was an unlikely deliverer used by God to save His people. Just like the Pharisees weren’t expecting the Messiah in the form of Jesus, people during Biblical times weren’t looking to a woman as a deliverer. God often uses the unexpected and least likely to do miraculous works. This gives me much hope. Often times, my funk is caused by tripping over myself. I see such bravery, courage, fearlessness, love, compassion and service in stories such as these that I think that I have little if nothing to offer God. However, because He is so true and loving, he is so quick to assure me that it is not I alone doing these things. No, He is always there with me taking me under His protective wing. All He wants me to do is seek Him in all sincerity, surrender and tell him, “Lord, I am here and ready to serve.” This is my prayer to Him today. thank you Erin. I truly enjoyed this. Excellent message, just what I needed today. It was confirmation for me when I read this part: All He wants me to do is seek Him in all sincerity, surrender and tell him, "Lord, I am here and ready to serve." Thank you.